Some of the greatest innovations result when enterprising minds find fresh ways to remove barriers between consumers and time-tested or new products. Consider how the pastime of shopping has evolved. Amazon created a single virtual storefront that provides consumers anywhere, anytime access to millions of products. Capitalizing on the advent of the internet, Amazon’s platform removed barriers for individuals across the globe looking to find, compare and purchase goods. Think, too, of how dramatically access to entertainment has changed. Netflix wasn’t the first company to combine consumers’ love of watching movies at home with the rising trend toward renting rather than buying goods. But it did so in a manner and on a scale that ultimately transformed the way individuals consume media. In relation to access, the asset management industry has its own game-changers. An important one has been the marriage of the mutual fund structure with alternative investment strategies to remove barriers between individual investors and diversified sources of returns. Alternatives are investments in assets other than stocks, bonds and cash, or investment strategies that differ from long-only investing. 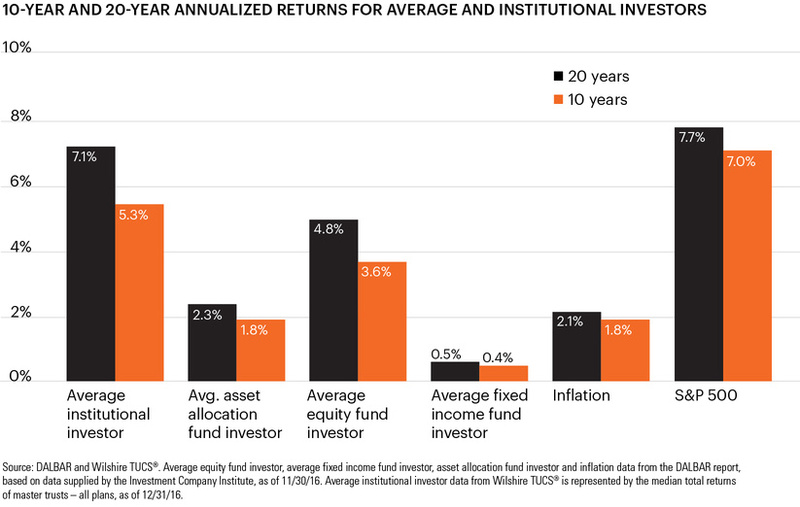 In the last 20 years, institutional investors have increased their allocation to alternatives to help diversify their portfolios, manage risk and generate differentiated returns. 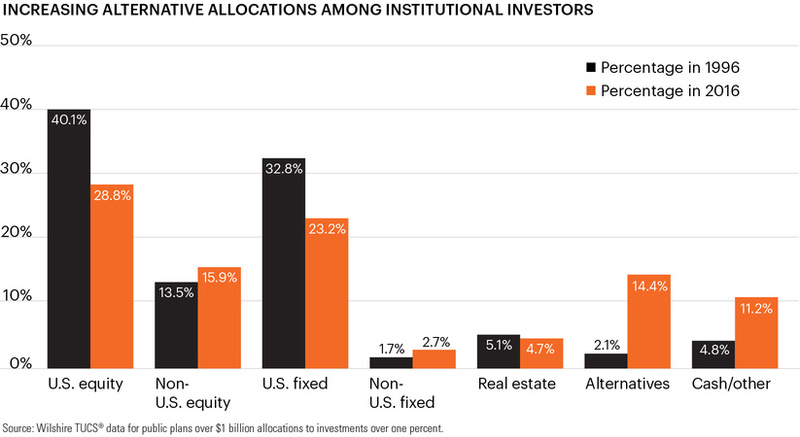 Individual investors’ access to alternatives has historically been more limited. What are some of the barriers that have traditionally limited individual investors’ ability to access and benefit from these strategies? In short, there are a number of structural limitations inherent in hedge funds/private funds, including regulatory requirements, high investment minimums, long lock-up periods and a lack of transparency. However, many of these challenges can be overcome by matching alternative strategies with a fund structure familiar to most investors. Mutual funds are time-tested vehicles for investors seeking access to a broad range of asset classes. Today, there’s over $50 trillion in mutual fund assets held by investors worldwide, 51% in the Americas, 36% in Europe and 13% in Africa and the Asia-Pacific region.1 For decades, mutual funds have provided investors access to traditional investments, namely stocks and bonds. Liquid alternative mutual funds have emerged as a way to provide individual investors access to alternative strategies they may not have been able to utilize in the past. Investor objectives: A critical match must be made between the investor’s objectives, the alternative strategy and the characteristics of the mutual fund structure. Regarding the strategy, is the investor seeking inflation protection, absolute returns, downside protection, income stabilization, returns enhancement or some other investment objective? In terms of structure, can the investor withstand longer periods without access to the funds or must they be available for possible short-term needs? Strategy liquidity: While some alternative strategies lend themselves to more-liquid holdings, others, like distressed debt, do not. Widespread perception is that traditional hedge funds are illiquid due to less-liquid portfolio holdings. However, in practice, their illiquidity often stems from the limits that managers have placed on the frequency of investor redemptions – typically quarterly. Investors must evaluate whether the liquidity of the structure is aligned with the liquidity of the underlying strategy to determine the suitability of an alternative mutual fund. Manager quality: Another element of the match is manager quality. What is their area of expertise and professional pedigree? Have they run the strategy with a long, successful track record with daily liquidity? Does the manager have sufficient experience, infrastructure, personnel and bandwidth to successfully implement the strategy? Finding the best match between an alternative strategy and structure can provide a critical access point for individual investors to reap the same investment benefits afforded for years to institutional investors. Just as Amazon and Netflix transformed shopping and media consumption by providing consumers game-changing access, the combination of alternatives and mutual funds lays the foundation for continued innovation in investment management for the broader investing public. 1 The Investment Company Institute (ICI), Worldwide Regulated Open-End Fund Assets and Flows, December 2017.